Why “Binder Day”? Well, today was the day we put together two very important binders that students will use to keep their papers and data organized. It might be hard to see (or understand), but it’s a binder that has a student planner, as well as 6 folders: Math, Science, Social Studies, Writing,Reading/Spelling, and Home/School. During the day, this binder will live in their cubby, and they will put papers that they need to keep into the corresponding folder for that subject. 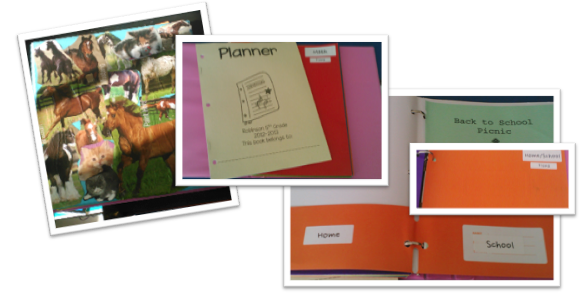 Then they can take the binder back and forth between home and school if they need something for homework. It’s worked well for many other teachers, and it’s great practice for what they’ll do as big, bad 6th graders next year in middle school. Tomorrow we’ll start to fill them as we begin to track our progress on beginning of the year basic facts tests. An important part of being a successful 5th grader in our school is being able to set goals for yourself as a learner, and these two binders are two very important tools in helping our kiddos set and then ACHIEVE their personal goals. 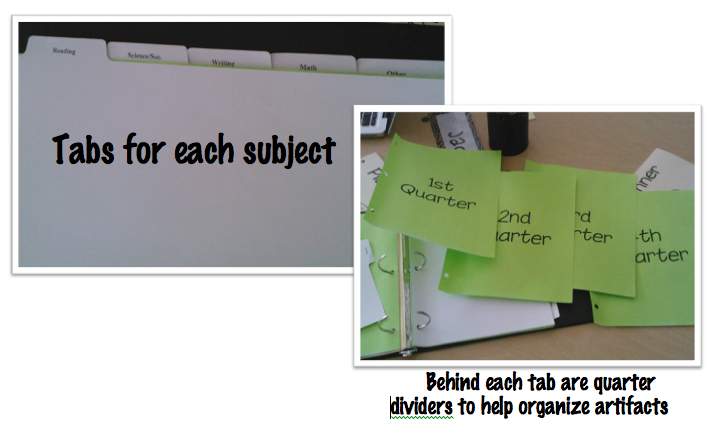 What kinds of organization do you use to help your students? 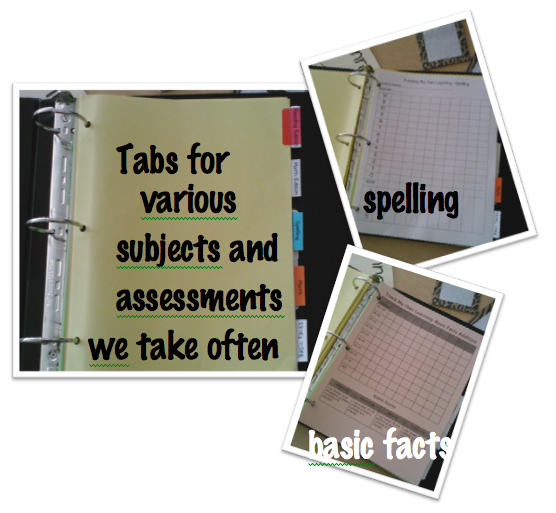 Do you use data binders or portfolios in your classroom? Tell us about it! Posted on August 29, 2012 by Jen Bearden	• This entry was posted in Classroom, Uncategorized and tagged binders, data, goals, organization, portfolios. Bookmark the permalink.